Experts agree that the biggest challenge facing hot mix asphalt (HMA) producers and paving contractors today is how to cost-effectively increase durability and reduce cracking that appears too soon after pavements are constructed. Such cracks allow water to infiltrate the pavement structure causing degradation of the HMA. This leads to costly repairs, user delays and inconvenience to motorists. 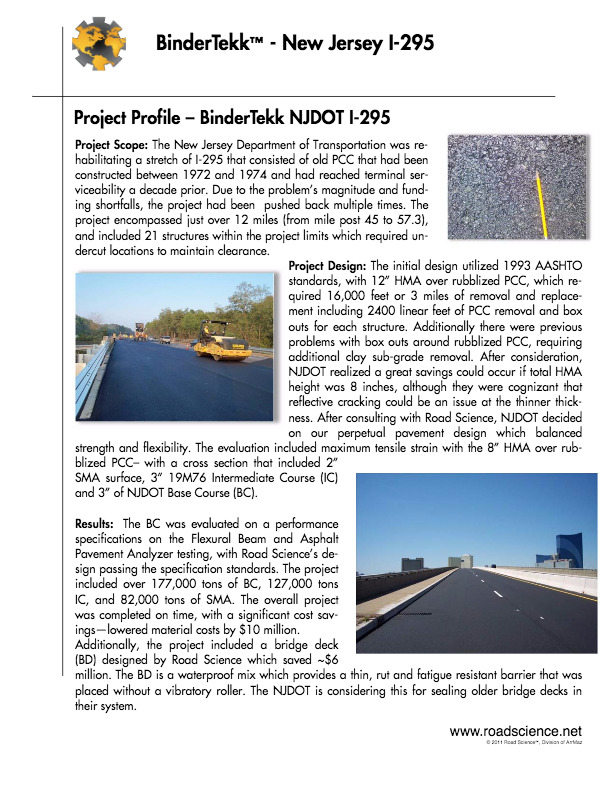 Road Science’s BinderTekk® line of polymer modified asphalts is the latest binder technology that can be engineered to address the specific level of strain tolerance needed for a particular pavement. BinderTekk is the solution for making more resilient, flexible, rut resistant and crack resistant HMA pavement layers that are much more durable than conventional HMA layers. BinderTekk pavements can be utilized in new construction as well as in composite pavement sections over concrete where it can be used as both a crack resistant, impermeable interlayer and as a flexible surface course. 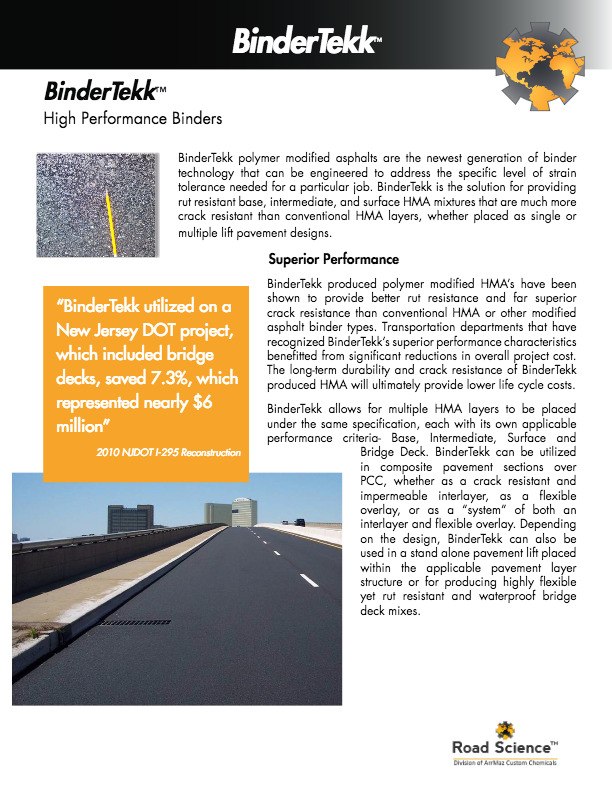 BinderTekk is also utilized as surface mix on bridge decks where strain is severe.